Step 1 – Register! Let us know you are coming. 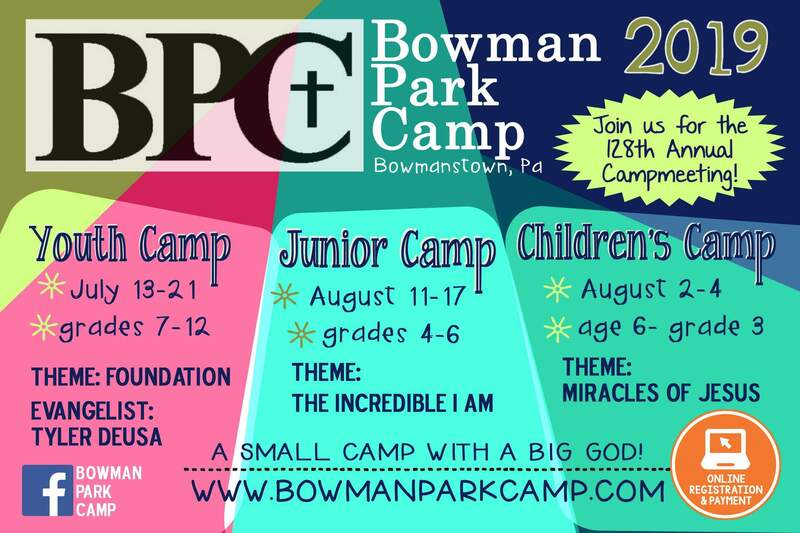 Complete the form for the camp you plan to attend. Printable versions of the Registration Forms are provided at the bottom of this page. If your church is paying towards any portion of your camp fees, please do not use the pay online option. Instead, please confirm the amount your church is contributing on the document, and be prepared to pay the remainder when you arrive at camp. You may also opt to pay with cash or check when arriving at camp. Checks can be made payable to BPC General Auxiliary. Step 3 – Health Form, Pack & Prepare! Prepare! We are so glad you are coming. Get ready for an exciting week. Of course, if you do not feel comfortable registering online, please follow the directions and deadlines on the printable registration form below. 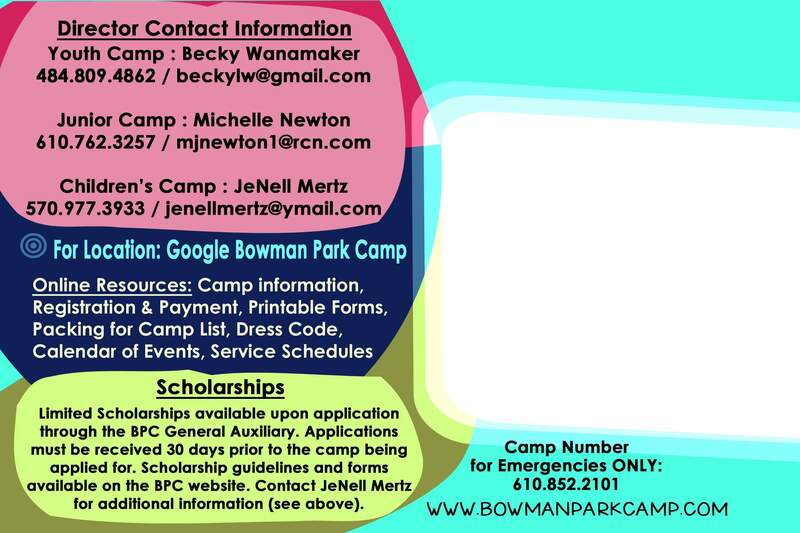 Bring your health form and payment as you arrive at camp.